This time of year, a pair of all outfit, all weather boots are an essential for getting through those soggy winter days. Thankfully with the January sales in full swing, there are all manner of bargains available on the market at a snip of their original price, like these cute ankle boots picked up from Brantano. 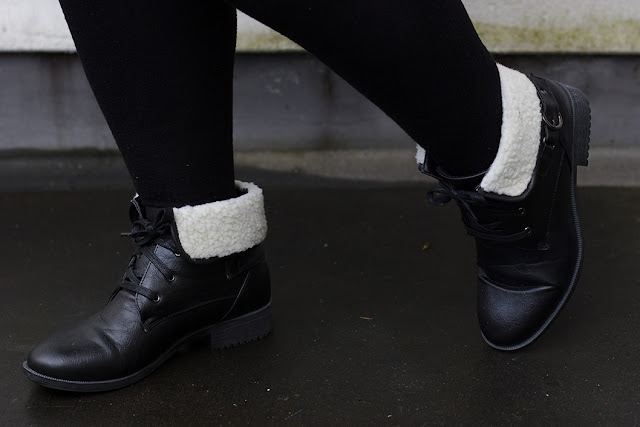 The Emilio Luca X Wide Fit Pollen from Brantano are an absolute dream to wear, and are made from a synthetic pleather with a faux fur top. 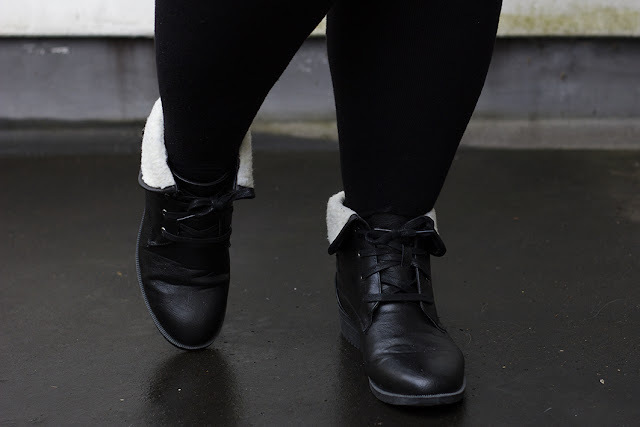 Originally £40, the boots were a sale bargain at just £28 and are a wide fit design available up to a UK size 9. I really adore the detail on the boots, from the silver buckle strap to the shiny black laces. The wide fit design ensure they are comfy even when worn with thick boot socks, and they fit true to size with a very sturdy sole. Since this post went live, Brantano have sadly gone into administration and are no longer trading. If you are looking for cute boots, you might want to try ASOS, Simply Be or for a more luxe style, Ralph Lauren.